It was quite a morning for Cicely Tyson. After more than six-decades in the business, she finally cemented her influence on the industry at her very own handprint ceremony. 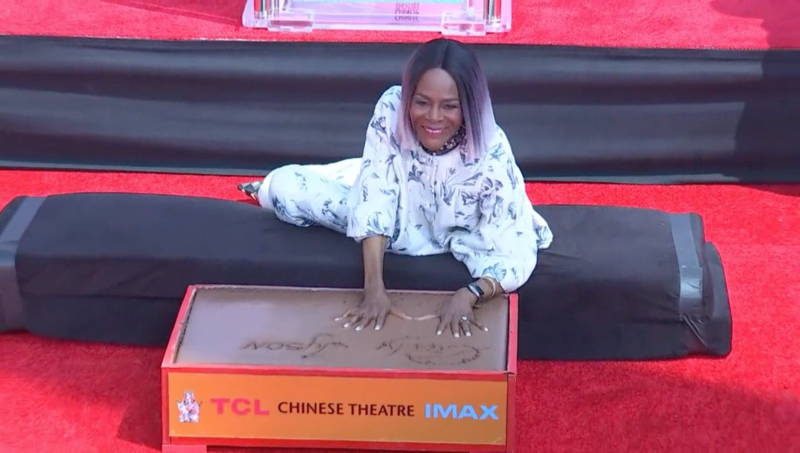 Hosted by Turner Classic Movies, friends, family, and fans gathered outside the TCL Chinese Theatre as Tyson placed her hands and feet alongside other legendary stars. Tyler Perry spoke at the ceremony—eager to support and celebrate close friend and collaborator, Tyson, who also happens to be the godmother of his son. Tyson’s career and dedication to the craft are awe-inspiring, and we couldn’t be more excited to see her name be placed amongst other influential performers—although she is used to the honors. In 2016, the Tony and Emmy winner was awarded the Presidential Medal of Freedom, one short year after she was recognized by the Kennedy Center, and she continues to be a leading voice for change.